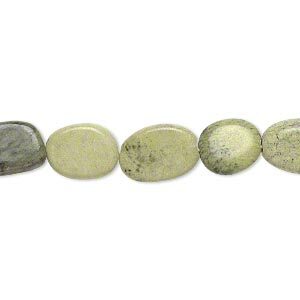 Bead, yellow "turquoise" (serpentine and quartz) (natural), 10x8mm-15x9mm hand-cut flat oval, C grade, Mohs hardness 2-1/2 to 6. Sold per 13-inch strand. 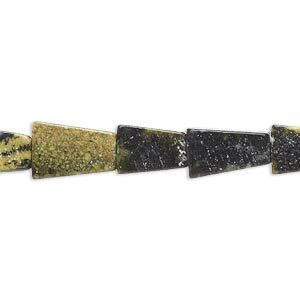 Bead, magnetite and yellow "turquoise" (serpentine and quartz) (natural), 11x7mm-15x8mm flat trapezoid, C- grade, Mohs hardness 2-1/2 to 6. Sold per 15" to 16" strand. Minimum 2 per order. 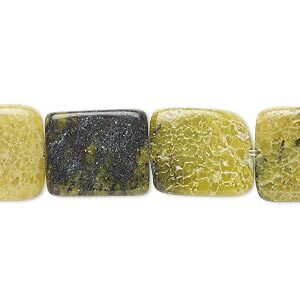 Bead, yellow "turquoise" (serpentine and quartz) (natural), 7x3mm-15x5mm hand-cut square tube, C grade, Mohs hardness 2-1/2 to 6. Sold per 14-inch strand. Minimum 2 per order. 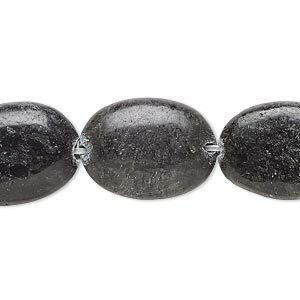 Bead, amphibolite (natural), 19x14mm-21x15mm puffed oval, C grade, Mohs hardness 5 to 6. Sold per 15-inch strand. 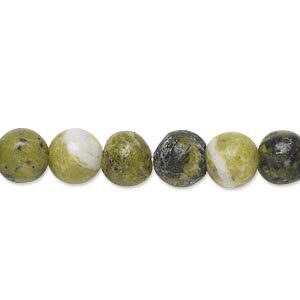 Bead, yellow "turquoise" (serpentine and quartz) (natural), medium chip, Mohs hardness 2-1/2 to 6. Sold per 34-inch strand. 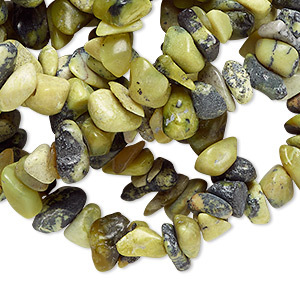 Bead, yellow "turquoise" (serpentine and quartz) (natural), extra-large chip, Mohs hardness 2-1/2 to 6. Sold per 15" to 16" strand. 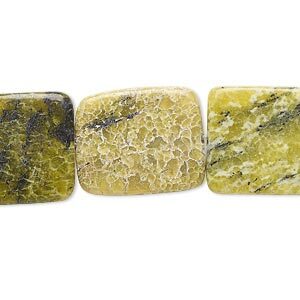 Bead, yellow "turquoise" (serpentine and quartz) (natural), 15x12mm-19x14mm rounded flat rectangle, C grade, Mohs hardness 2-1/2 to 6. Sold per 8-inch strand. Minimum 2 per order. 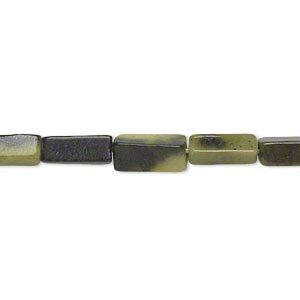 Bead, yellow "turquoise" (serpentine and quartz) (natural), 17x16mm-19x18mm flat square, C grade, Mohs hardness 2-1/2 to 6. Sold per 8-inch strand. 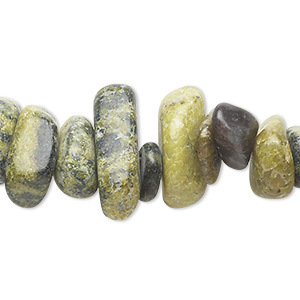 Bead, yellow "turquoise" (serpentine and quartz) (natural), 7-9mm round, D grade, Mohs hardness 2-1/2 to 6. Sold per 15" to 16" strand. 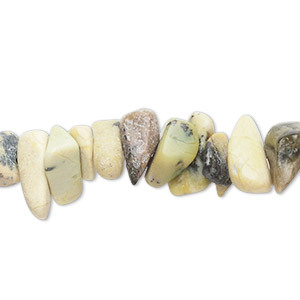 Bead, yellow "turquoise" (serpentine and quartz) (natural), large chip, Mohs hardness 2-1/2 to 6. Sold per 15" to 16" strand. 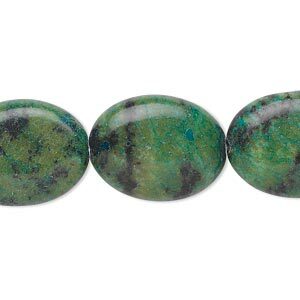 Bead, yellow "turquoise" (serpentine and quartz) (dyed), green to blue, 20x15mm-20x16mm puffed oval, C grade, Mohs hardness 2-1/2 to 6. Sold per 15" to 16" strand.